The "unshakeable" camera! Credit to: Rylo Inc.
It’s a new year and a new you! If your goals are to capture your fitness journey or to shoot your own 360 fitness videos for the world to see, here are some user-friendly VR cameras to get you filming in no time and some to keep your eye on. If you want to go from being a couch potato to a fitter version of yourself or you simply want to motivate people to get exercise, Rylo is a great double lens camera that has “unshakeable” technology and takes high-quality 4K shots with 208-degrees per 7 mm lens. Take Rylo with you as you trek on uneven terrain or capture your favorite instructor’s cardio dance class and then upload it online for the world to see. The handheld, two-sided mini-camera shoots in 360-degrees but packs a powerful punch when it comes to capturing VR video. Rylo cameras can shoot in every direction at one time with an editing app that lets you control shot options like point A to point B panning, has subject follow/focus and stabilization, and tiny planet mode (fisheye) for artsy shots. They also have a front-back mode that captures action and reaction shots happening in two directions and has a 16x speed time-lapse option you won’t need a tripod for. Rylo cameras can easily be connected to Android and iPhone smartphones via a connector cord for syncing and are charged with a battery cable. The camera has up to 60 minutes of battery life with continuous recording but can vary depending on use. You can purchase an “unshakable” Rylo 360-degree camera for $499 online with options to buy their protective waterproof adventure case for a separate price. Hold the TwoEyes VR camera vertically or horizontally. Credit to: TwoEyesTech Inc.
Do you want the option to take 360, 3D and VR ready images and videos for your next virtual gym how to series or VR exercise channel? TwoEyes VR handheld camera delivers 3D, stereoscopic quality images and video that are transferred and edited in their Android, iOS, and Windows friendly app. Shoot horizontally in two eyes mode for the fullest scene coverage or shoot vertically in one eye mode for portrait images, before and after shots, and interviews. The TwoEyes camera shoots 180-degrees per side with 4 lenses altogether, covering a full 360 degrees of video and photo capture. 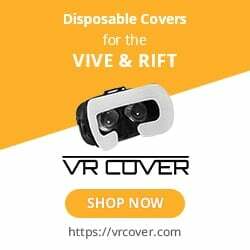 Connect the TwoEyes VR camera your smartphone through WiFi Direct and ditch the cord (except in charging) as you view and select images and video in real time. Edit VR content in their app and then upload your fitness videos, interviews, and creative content to your website or channel. Get creative with your shots and use their side by side viewing, panoramic viewing, spherical 360 view, and other viewing options. Shoot with four 180 degree lenses for 4 unique directional shots, or in 360 to bring those images together for a complete look. Visit the TwoEyes VR Indiegogo page to pre-order the VR, 3D, and 360 camera for $249 or $469 for their Couple Pack. Getting a 10-minute brain boost from a workout can motivate you to tackle that pile on your desk or give you a shakeup to start your day off right! Filming a competition, new training exercise or tracking your daily progress with the Insta360 ONE is a snap. This 360 camera has options to attach it to Android and iOS smartphone plugs, wirelessly through Bluetooth and the paired app, or used on its own. The ONE model is a versatile 360-degree camera that can shoot high-quality 4K video, images in 24 megapixels, and has a 70-minute battery life. With options like Smart Track, active subjects can be captured running past the finish line of a marathon without a break in focus. If you use a selfie stick, the Insta360 technology will erase it out of the shot, increasing the immersive factor of the image or video. Use time-lapse to get creative shots while shooting fitness videos or to skip past lulls in the action and fast forward to the extra exciting parts.The Insta360 ONE’s 6-axis stabilization delivers steady video quality that can be quickly and easily live streamed on social media platforms like Facebook, YouTube, and Periscope. Get the Insta360 ONE at their online store for $299 with fun accessories like a tripod, drone, helmet, waterproof casing, selfie sticks, and suction cups sold separately. Virtual reality is becoming more popular than ever, with viewers at home watching 360 fitness videos online for exercise. The Kodak PIXPRO ORBIT360 4K is a carry ready all in one 360 camera that has 2 fixed focus lenses on each side of the camera body. Snap 360-degree and 4K quality pictures and videos from the Android and iOS compatible PIXPRO app. No need to spend your valuable time stitching together images, that’s taken care of inside the camera automatically. Shoot fitness videos or VR fitness gameplay videos with the PIXPRO ORBIT360 in 3 shooting modes: 360-degree Spherical/VR Mode shot with two lenses, 197-degree 4K Ultra Wide Mode with a single lens, and 235-degree 4K Dome Mode with a single lens. Shoot in movie mode, high-speed movie mode, in photo mode, and photo burst mode for unlimited filming and creative action shots. This 360 Kodak camera won’t freeze in cold temperatures, so it’s safe in the snow, is splashproof (IPX5 quality), dustproof (IP6X quality), and shockproof up to 2M (about 6.5 feet) if you have the special lens cover. If you want to offer your viewers a live stream, you can do that via YouTube and Facebook. Visit the Kodak store to get the PIXPRO ORBIT360 4K camera Adventure Pack for $499.